AR: Secret Societies at War: Was Scalia Put on Trial by Clandestine Court? Secret Societies at War: Was Scalia Put on Trial by Clandestine Court? The war between secret societies is ramping up, and now the corporate media is confirming what Abreu Report announced just immediately after his death: that Justice Scalia was indeed surrounded by a secretive group before his assassination. The large-circulation German weekly Der Spiegel reported that Justice Scalia was flown to Texas by members of the International Order of St. Hubertus, a secret society with strong feudal tenets and a history dating back to 1695. According to The Washington Post, it is not clear if Justice Scalia was directly tied to this secret society, or exactly why he decided to meet with them, but the Post has confirmed that John Poindexter, the ranch owner who found Scalia with a pillow over his head, is a member of the shadowy group. According to The Post, law enforcement officials were not aware of the "International Order of St. Hubertus or its connection to Poindexter and ranch guests." 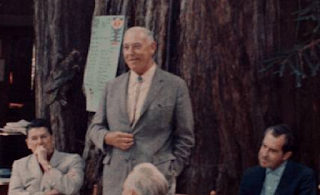 Poindexter told the Post in an e-mail: "There is nothing I can add to your observation that among my many guests at Cibolo Creek Ranch over the years some members of the International Order of St. Hubertus have been numbered. I am aware of no connection between that organization and Justice Scalia." 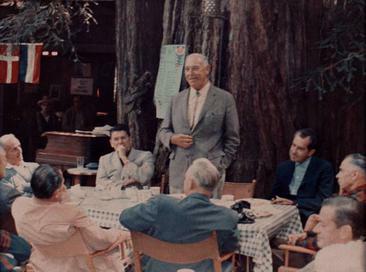 The Post further reports that the Secret Society got its start in the US at Bohemian Grove, a place steeped in conspiracy theories and where many of America's prominent leaders and matchmakers meet before their imminent rise to power. Prominent conspiracy theorist Alex Jones has in the past infiltrated the grove, recording what he described as macabre, satanic rituals. According to the same source who first tipped off Abreu Report immediately after Scalia's death, the International Order of St. Hubertus has its own internal court system, one which can deliver death sentences by which members have to abide. The Patron (protector) stands above the whole order. A supreme judge and six associate members form the high court of the order. During each session of the court, judges have to inform themselves thoroughly on the matter before the court. Decisions must be made in a fair manner and adhering to the rules and laws of the order, and along the oath they took when they joined the order and all the rules attached to this. Personal predispositions and commitments need to be cast aside for this. All trials and investigations are secret. All members of the court are sworn to secrecy towards outsiders and also towards the affected and other order members. The verdict is the only part of the trial that is generally excluded from this secrecy. The different ranks/offices (e.g. prior, judge) usually end only with death. According to our source, however, Scalia was not put on trial by the court, but was likely presiding over a trial. Was it because of the very act of presiding over this one trial by The Order of St. Hubertus, and because of its implications for Skull and Bones, that the renowned American jurist was killed by the Yale clan? If Scalia was not killed by Skull and Bones, it then signifies that European secret societies are murdering American judges and blaming American secret societies. The Order of St. Hubertus' website says the elite group is opposed to "consumerist values," and thus capitalism; could this perhaps be why we may now be in the midst of an international shadow war between secret societies?